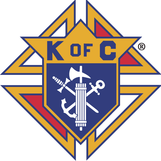 Interested in joining the K of C? We will be happy to tell you why you should join us! Check out the information and resources below. Then contact our council Membership Director at md8284@mikofc.org. Important Note: Kern Council conducts periodic "Information Nights" where we provide information about the Knights of Columbus and serve light refreshments. Please consider joining Msgr. Kern Council and the Knights of Columbus. If you come to an "Information Night" you can have any of your questions about the Knights answered. We would love to have you! Watch here for our next "Information Night" date. Click here to learn about our Legacy! Click here for one man's testimony! For 130 years the Knights of Columbus has provided all of this and more for its members.